In the small city of Swansea (my hometown) on the South coast of Wales, lives a Brazilian Jiu-Jitsu gym. This gym, named The Chris Rees Academy a.k.a Gracie Barra Swansea, has been dubbed “The Champion Factory” by Martial Arts Magazine. This relatively large gym (in BJJ terms) is ran by Chris Rees, a Braulio Estima black belt, who’s passion for Jiu-Jitsu and incredible coaching has churned out medal-winning competitors. His guys are regularly seen at competitions around the country hauling medals back by the truck load. One such competitor, who’s name is Ashley Williams, took the competitive scene by storm as a purple and brown belt. 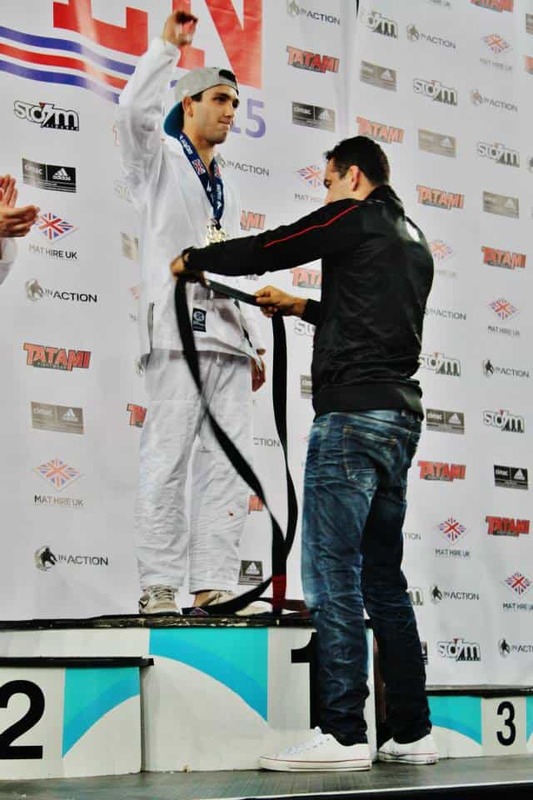 At brown belt he was ranked no1 in the world, and multiple time British Champion. Now as the UK’s youngest black belt, Ashley has stepped onto the big stage. 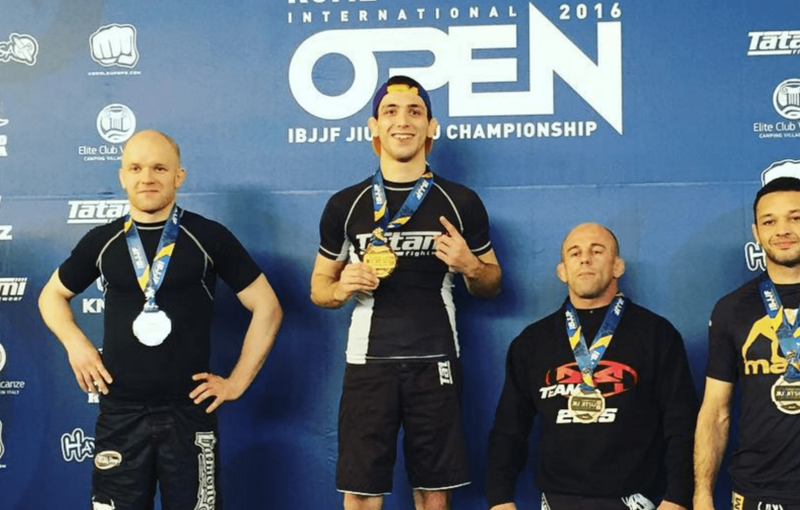 He recently winning gold at the IBJJF European Open, competed at the Worlds for the first time and now he has had the call from Eddie Bravo to compete at seventh Eddie Bravo Invitational, EBI7. Today we have a chat with Ashley and talk about the different between IBJJF and sub only, and what his future plans are going to be. Enjoy! Firstly, Can you tell me who you are and where do you come from? Hi my name is Ashley Williams, I’m a black belt under Chris Rees and I train out of the Chris Rees Academy Swansea. I’ve been training for just over 8 years. You recently came back from your first World Championships. How was it? The worlds was the most surreal experience I’ve ever had. I hadn’t competed outside of the UK before brown so it was a big step up. Over the last 3 years I’ve been competing internationally as much as possible and found every new level a tough challenge. As my exposure to the level increased, so did my performance so I am very excited to get back out there next year! How did training for worlds differ to training for local competitions? I train full time so I feel I’m always ready to compete. The hardest thing personally for me is the little injuries that get picked up through the continuous training and competing. I didn’t have the greatest run up to the worlds but I learnt a lot from the experience, which I plan to implement next year. As the UK’s youngest ever black belt, do you feel any pressure to perform on the elite stage? I know many athletes say that their dream has always been to compete and win at the highest level, it sounds crazy to say but that wasn’t the case for me. I love training BJJ and love competing, the enjoyment of the sport is what drives me and until recent years I didn’t feel the pressure to perform. Recently I have felt that the pressure is increasing, but I know that all of the people that support me do it without the condition of me winning, so as long as I step on the mat and give it my all I come off the mat happy. 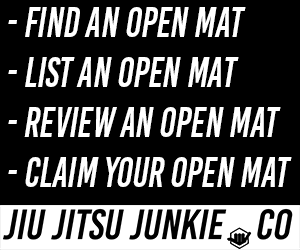 You were recently invited to compete at the Eddie Bravo Invitational, how did it feel to answer the call? I couldn’t believe the EBI call up. I have got to give credit to the uk bjj community and obviously my team mates and students. They got behind me 100% and pushed on social media so much that Eddie Bravo himself messaged me saying ‘so you want in EBI 7?’, I just remember not being able to stop smiling! How is your training camp going? 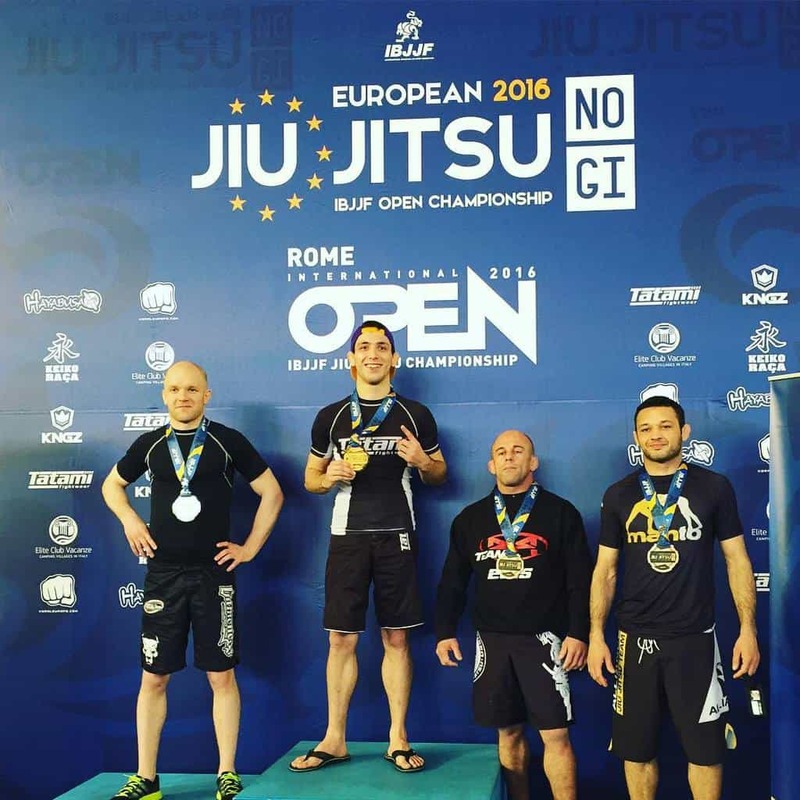 How does training for a sub only tournament differ from IBJJF ruled competitions? I feel like trainings going well and I’m constantly improving my game. I don’t feel that training for sub only is much different to IBJJF, as securing positions gets you that much closer to the submission, so I will definitely be looking to improve position and look for good isolation as opposed to throwing out crazy sub attempts over and over. The biggest difference for me will be the leglock battles, particularly with leg reaping which I will be training specifically for EBI. I have asked for a match on the previous events and hope that I will get on the next one. I enjoy no gi so would love a match against any high level no gi grappler. A good performance on EBI should help with the possibility of competing on that show. Since experiencing the worlds I’ve decided to change up my goals and approach to competing. I plan to compete at as many IBJJF majors as my finances allow, along with qualifying for ADCC and Abu Dhabi pro next year, that way I’ll be able to fight the best guys as often as possible. Thank you very much for this opportunity and if I could give my sponsors a quick shout out that would be great. Tatami Fightwear, HarrisMiller Electrical solutions, YogaForBJJ, BJJ 24-7, OC industries.